Suspect surrenders in murder of mother near newborn daughter. Jeff Chirico reports during Action News at 4pm on December 17, 2018. PHILADELPHIA (WPVI) -- Philadelphia police have a charged a man in the murder of a mother who killed in front of her baby early Friday morning. 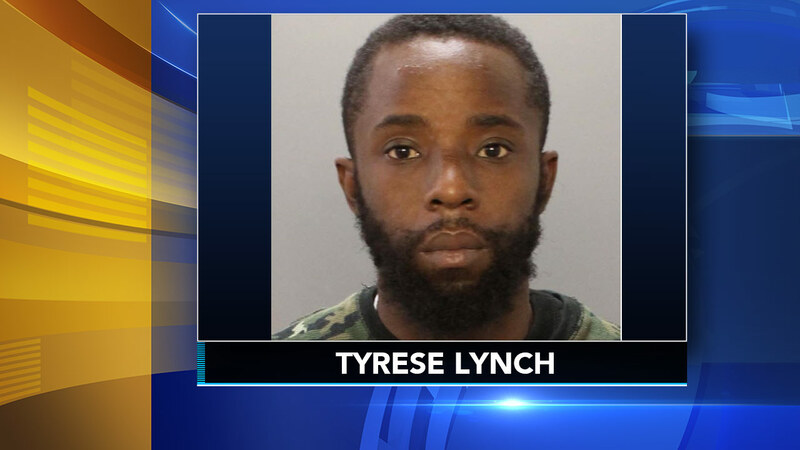 Tyrese Lynch, 32, surrendered to Philadelphia police around 11:50 a.m. Monday. He was arrested and charged with Murder, VUFA-Former Convict, Endangering Welfare and related offenses in the killing of Isis Williams. Authorities found Williams dead around 4 a.m. Friday inside a home on the 6300 block of North Woodstock Street in Germantown. Police say Lynch shot Williams in the head with her five-day-old daughter in a crib just steps away. Williams' aunt, Aspara Agyeman, said Isis was on the phone with her mother when gunshots rang out. Police: Woman killed by boyfriend near their newborn baby. Bob Brooks reports during Action News at 4pm on December 14, 2018. The mother of three has just given birth just days before. The baby girl, now one-week-old, is staying with Isis' aunt. Investigators said there were signs of a struggle in the home, furniture was overturned, but the baby was not injured. A vigil was held Monday evening to remember Isis Williams in her neighborhood.